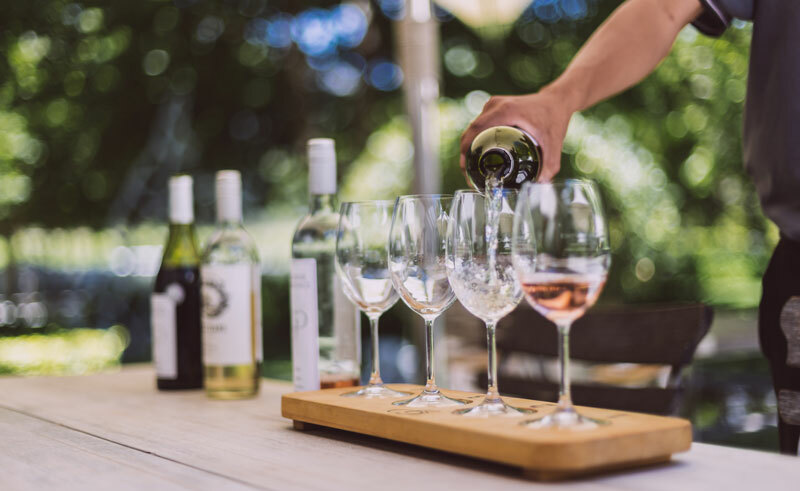 The Franschhoek Wine Tram hop-on hop-off tour is one of the best ways to discover the true essence of the Franschhoek Valley – picturesque vineyards, breathtaking scenery, warm hospitality, world-class cuisine and fine wines. 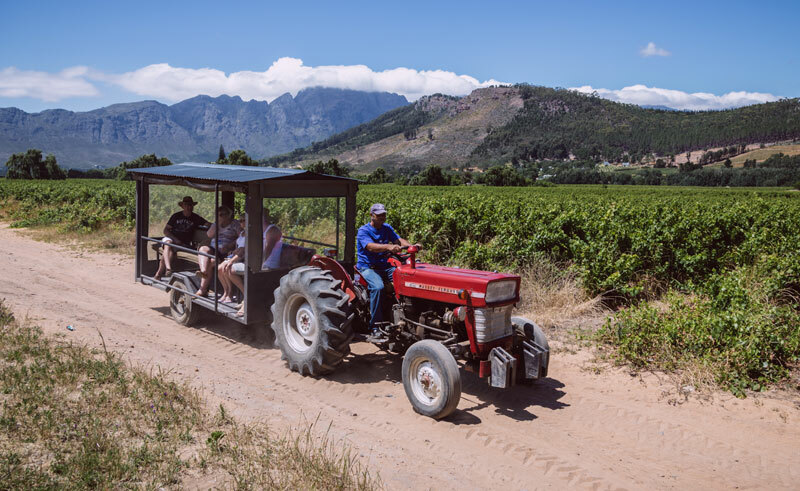 Passengers aboard the hop-on hop-off tour will experience a unique and leisurely way to see the surrounding area as they journey through rolling stopping in at some of South Africa’s oldest and most distinguished wine estates. 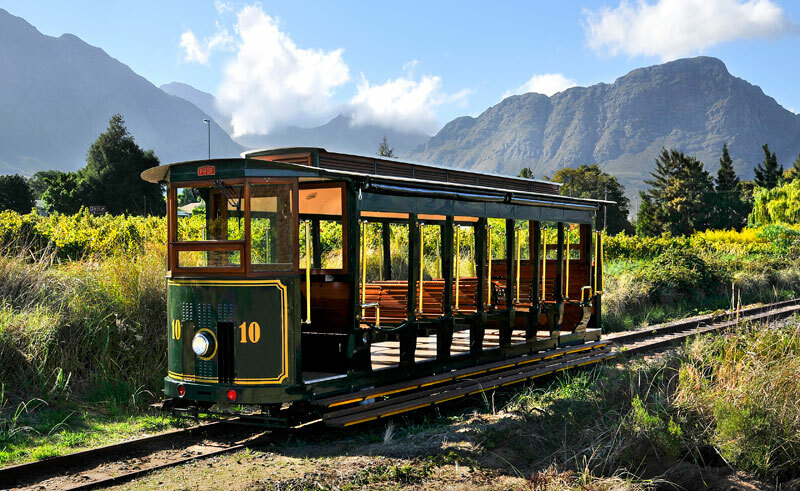 A combination of tram and tram-bus transports passengers around a loop of stops allowing guests to hop-off at each stop and experience the activities on offer, be it wine tasting, a cellar tour, lunch or simply a stroll through the vineyards and when they are ready, hop-on to continue the tour.